I love pizza. I love chicken parm. Why not combine them? 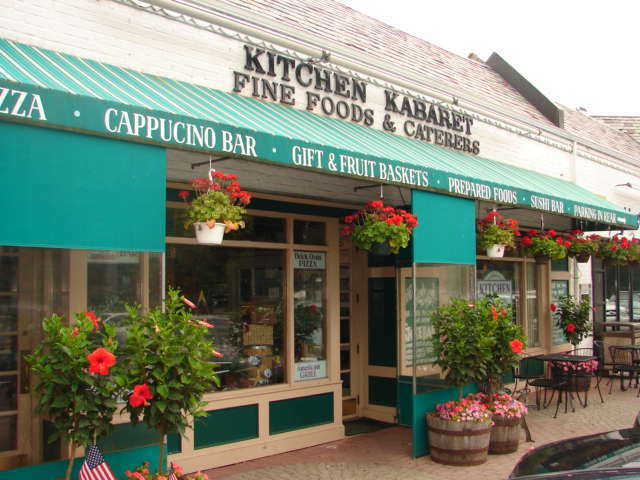 They do that at Kitchen Kabaret, the amazing food emporium located not far from where I grew up on Long Island. We were back there last weekend, and stopped by to take out some food. 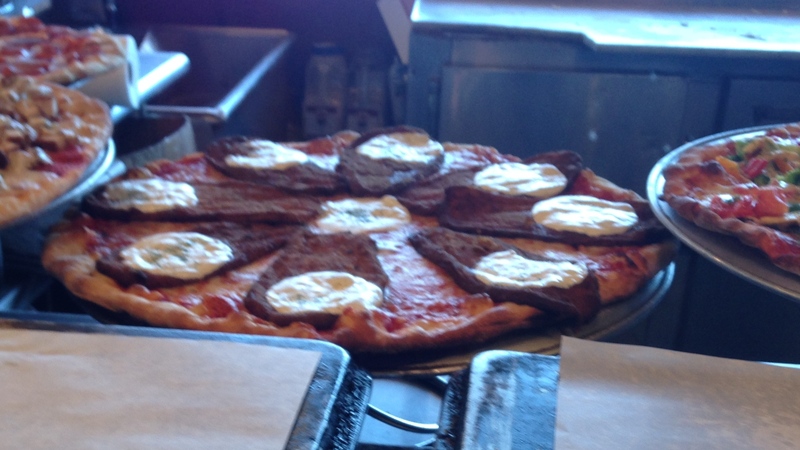 When I saw the pizza pictured above, I thought I was in heaven. But I had just eaten veal parm the night before when we had dinner with my brother’s family at our usual meeting place, Piccolo’s, so I resisted.